Contains 1 - D12 drum mic Contains 4 - TSM411 Tom mics Contains 2 - GXL 1200 mics for cymbals or over-head use Soft carrying case. 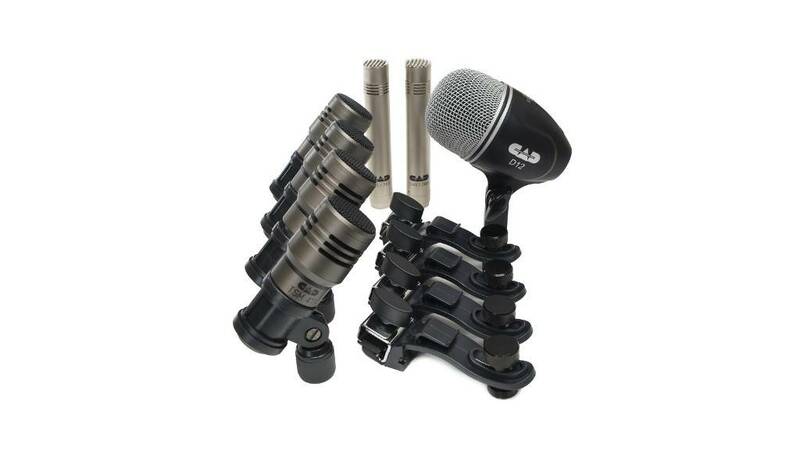 7 Piece Premium Drum Mic Pack The Touring7 is an assortment of the finest percussion mics CAD offers in one premium drum microphone pack. Includes four TSM411 dynamic tom/snare mics, one D12 dynamic kick drum mic, and two GXL1200 overhead condensers. The Touring7 comes with clips for all the mics plus four DMC-1 drum mounting clips for your toms and snare. Protective carrying case included.